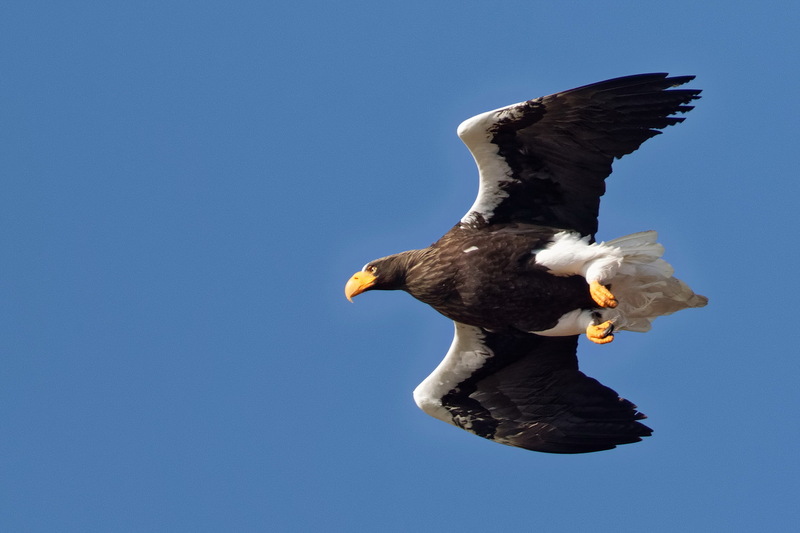 The Steller’s Sea Eagle to the east of town was still around as of today. Not a great photo: a heavy crop. It was so windy that keeping the camera steady was almost impossible too. The thaw has begun and signs of spring are starting to appear. A distant skein of geese heading north, Red-breasted Mergansers displaying in the ports……………. 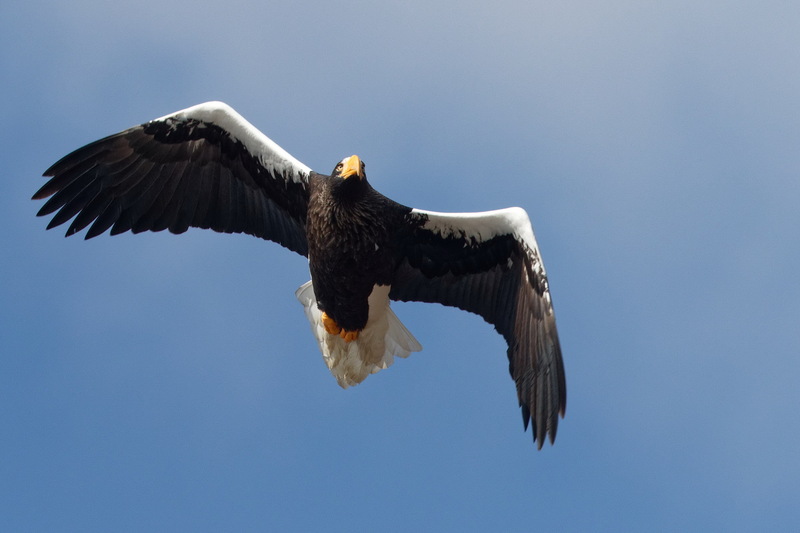 At least 3 White-tailed Eagles were also present but remained high in the sky. Not much else around: a few common species of duck, some Brent Geese and Glaucous-winged Gulls etc. For a couple of winters there was a tame Peregrine at Sawara. You could walk right up to it. I have no idea why it was so confiding………..usually this is a shy species. After Black Kite this is probably the raptor species I most often see in Japan. 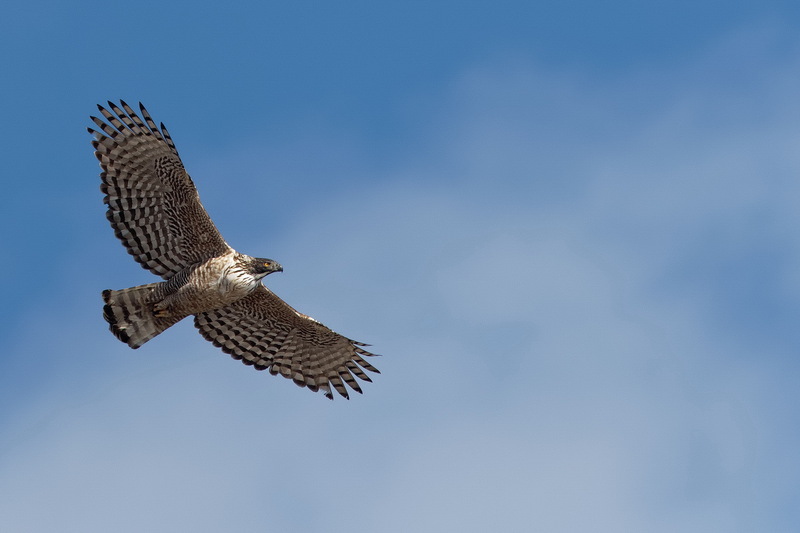 An immature Rough-legged Buzzard near Hakodate in 2012. That winter saw a big invasion of them into SW Hokkaido and I saw them in several locations. I haven’t seen a single one since though. 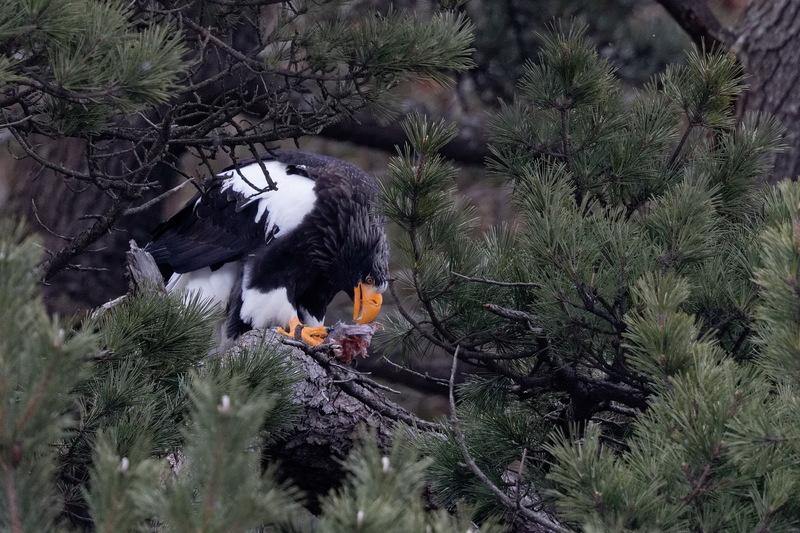 Was Monday my last afternoon with Steller’s Sea Eagles this winter? Maybe. The qweather was good but it wasn’t as active as the day before. It did a couple of fly-bys at least. 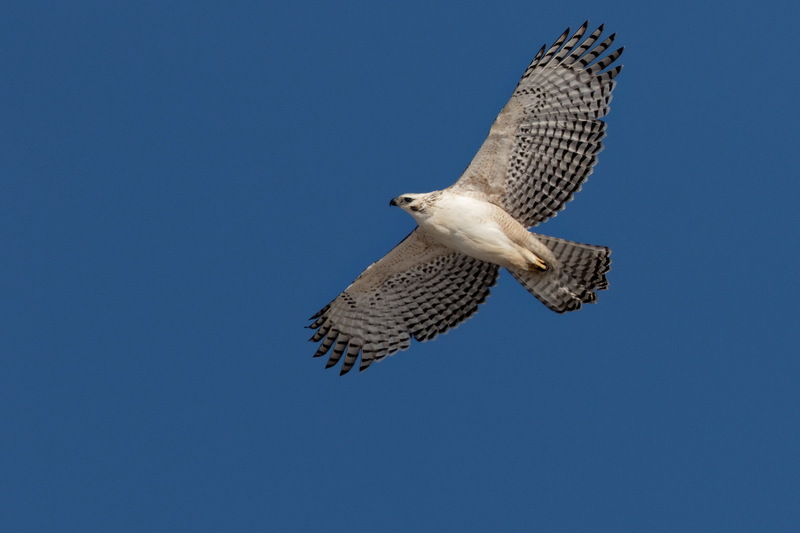 I waited a long time for a Mountain Hawk Eagle to flap over the ridge but eventually it came. Still pretty far off (and this photo is cropped quite a bit) but it was worth the wait. The light was much better than yesterday too. This is an adult. The paler immature showed up too but that was even further away………….. The immature Mountain Hawk Eagle was also very active but no photos survived the cull (it was really really dark like I say). Other stuff around included Glaucous-winged Gull, Great Egret, Whooper Swan, White-tailed Eagle, Brent Goose, Harlequin Duck and Red-breasted Merganser. A first year Montain Hawk Eagle this afternoon above one of the ports east of town. Not great photos, heavy crops from 700mm. Every so often one or sometimes two appear over the ridge and flap lazily along the treeline. 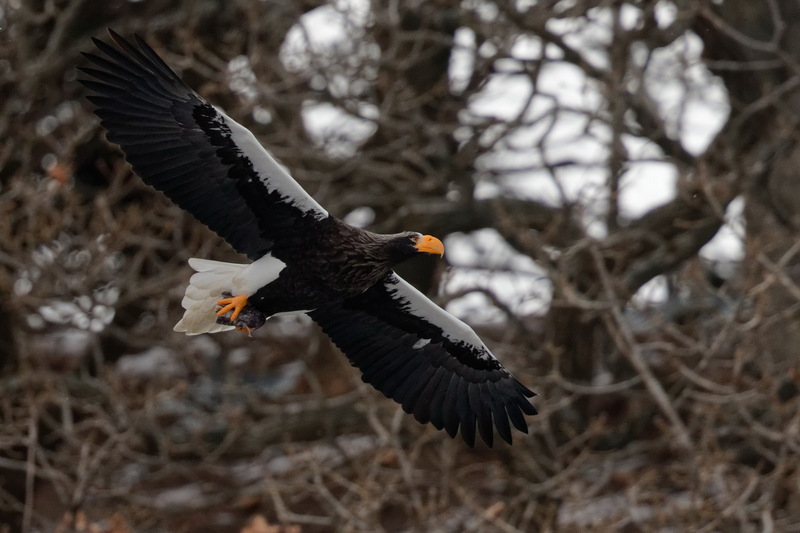 The Eagle saeaon is almost over in SW Hokkaido. There were only a few lethargic hungry looking ones at Yakumo. 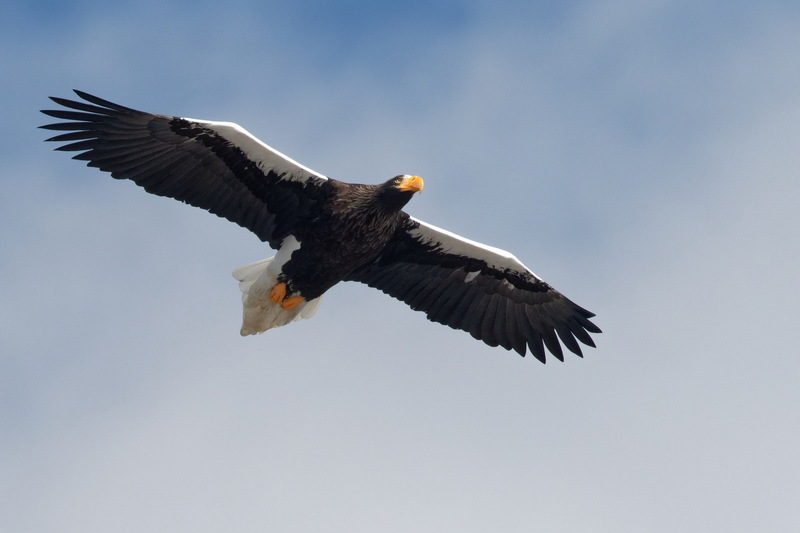 There are still plenty dotted around the coasts but the main viewing and photo spots are now mainly eagle-free zones. The above individual was near Oshamanbe by the side of the road. 4 years ago this immature Gyrfalcon spent the winter at Sawara. Sawara is a well-known place for this species. Ar the turn of the century a pair spent about 10 winters there and then nothing was seen of this magnificent bird until late 2013. Another individual did appear at the same location a couple of years ago but it only stayed very briefly and was only seen by one person (who at least managed to get a photo). They periodically turn up all over Hokkaido but as they favour bleak snowy windwept underwatched coasts many probably get overlooked. 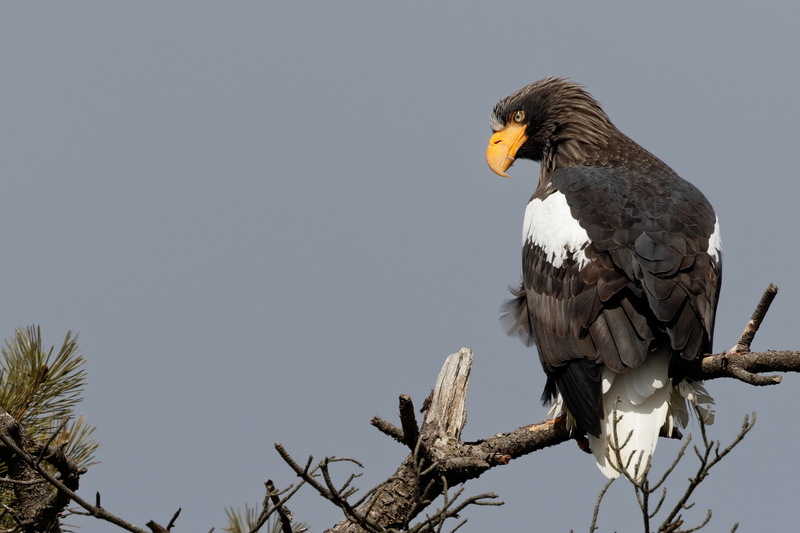 The odd coloration, tame behaviour and damaged tail feathers/wingtips led me to wonder if it was a hybrid /escapee. 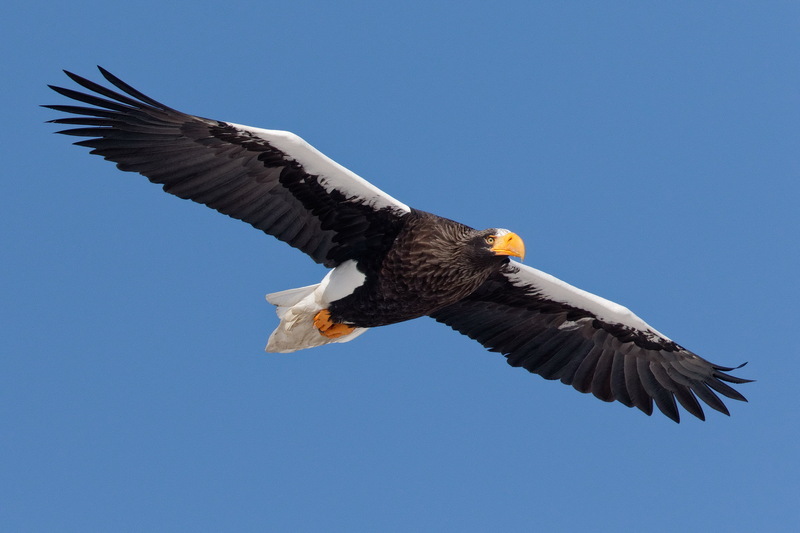 After much discussion with a falconer’s group on facebook I’m happy to call it a wild bird: the coloration can occur in the wild, tameness can be explained by lack of contact with humans and the damaged feathers can be explained by its struggles with prey on coarse sand or even concrete. 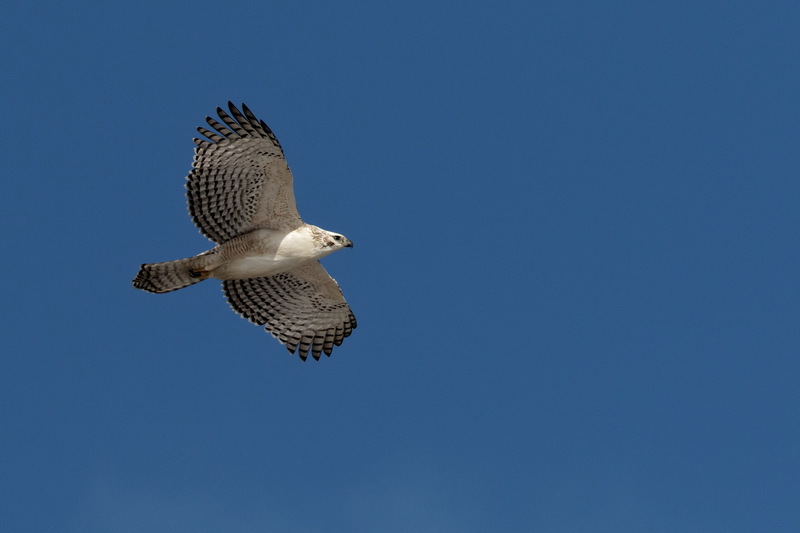 Plus many falconers said a bird like this would be sporting rings and also be too valuable to let escape plus there are very few Gyrs or Gyr hybrids kept in Japan (apparently they don’t like humidity and often get sick). Breeders also said they didn’t believe it was a hybrid either. Anyway……………………….surely it’s time for another to show up and ideally I’d like to find one myslelf. A pure white one would be nice.